Kizz Daniel is set to release new music this Friday, titled ‘One Ticket’ off his much anticipated ”No Bad Songz” album and it features DMW boss, Davido. The video to the song has also been shot already and it was directed by Ovie. Kiss Daniel’s next album, ”No Bad Songz” will contain 20 songs according to the tracklist unveiled on August 22. 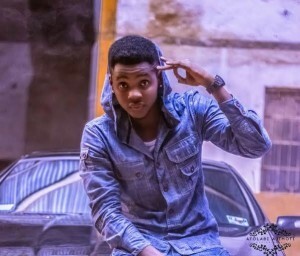 Ahead of the release of his sophomore album scheduled for next month, singer Kiss Daniel aka Kizz Daniel has given more insight into what to expect from the project with the release of the tracklist. The album will contain 20 songs, which surprisingly doesn’t feature some of his previously released singles like ‘For You’ featuring Wizkid, or the hit song, 4dayz.